What is Coinmama – You Might Want To Read This Before You Join! Today we will take a look at Coinmama for you. What is Coinmama? Will it be something for you or are there better alternatives out there? These are some of the main questions this short review will focus on. Ok, here we go! Coinmama is an online platform that you can use to buy Bitcoins and Ethereum. It has been around since 2013 and is one of the leading “buy platforms” in the cryptocurrency industry. The main “thing” with Coinmama is the simplicity of using it, it is kind of their “slogan” and the main reason for its many users. If you can use PayPal, for example, then you will have no problem using Coinmama. Coinmama is among the best options when it comes to low fees, at least among the most well-known and trusted Cryptocurrency dealers. Since there is no central bank controlling the bitcoin rate, each website has its own bitcoin rate. 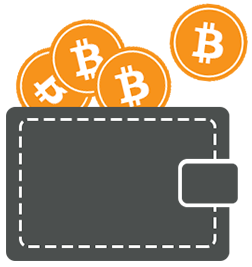 The price you see on our website is Coinmama’s bitcoin rate and includes our fee of 5.50%. If you want to see the average market rate, we recommend TradeBlock’s XBX Index. So, is Coinmama a scam? No, of course not, it is a legit and trusted platform. It is simply a platform where you either buy or sell Bitcoin or Ethereum. It got real owners and great reviews and ratings from its real users online. It has also been around since 2013, it would never have survived that long if it wasn´t. 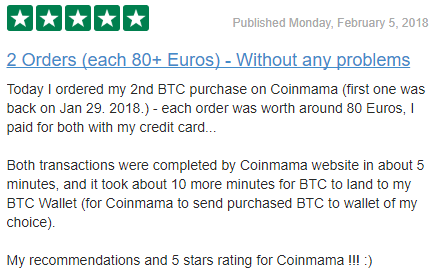 When looking at the other online reviews and ratings you can see that Coinmama get a pretty average score from its real users. 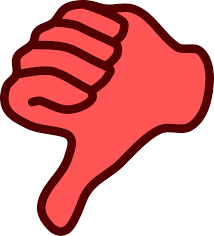 A common theme, with both Coinmama but also with any other cryptocurrency dealer, is that around December 2017 they have received the most complaints. It is not hard to figure out why as it was exactly around that time when Bitcoin raised so much in value in a short period of time that pretty much everyone and their mothers wanted to buy some… This lead to overload on ALL of the websites both buying or selling cryptos as they simply weren´t prepared for the high amount of load on their sites, the support was slow, the transactions took time, and so on. 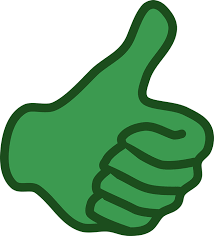 The well-known review and rating site Trustpilot is a good example where you can see that most of the “angry” users were “not so happy” around that time period. But you can clearly see that they are super happy clients on other dates that are not around the period when basically the whole world wanted to buy, probably because of FOMO (fear of missing out). Ok, I think that sums up the overall picture of this company pretty good. This is absolutely a legit buying platform and it is also a very good one if you are looking to make an investment. The only minus I can see is that there are no other e-coins to buy other than the “2 BIG” Bitcoin and Ethereum. 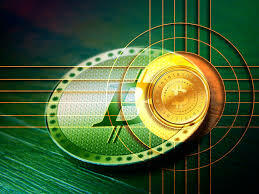 Other than that this is a great place for you to go and make your Cryptocurrency investment. NEVER invest more money than you can afford to lose into Cryptocurrency or ANY other investment as there are no 100% bulletproof investments in this world. Keep that in mind and you should be just fine. I hope you found this short review of Coinmama to be helpful and now you should have a better understanding of what it is and if it is something for you or not. If you have used their service please share your experience in the comment section below as it can help others. Also, if you got any other question about this review I will be more than happy to answer them below!